Canada is recommitting itself to fighting homegrown Islamic extremism following a CBC News investigation that revealed at least two Canadian men were involved in an al-Qaeda-linked attack on an Algerian gas plant in January. Here is a list of Canadians suspected or convicted of Islamic extremist activities. Canada is recommitting itself to fighting homegrown Islamic extremism following a CBC News investigation that revealed at least two Canadians were involved in an al-Qaeda-linked attack on an Algerian gas plant in January that left dozens of refinery workers dead. London, Ont. natives Xristos Katsiroubas, 22, and Ali Medlej, who was believed to be about 24, were two of the militants responsible for the attack, a CBC News investigation confirmed. According to the web site of the Canadian Security Intelligence Service (CSIS), "with the exception of the United States, there are more terrorist groups active in Canada today than in any other country in the world." "We’ve seen a number of Canadians travel across the world to engage in conflict and they’ve fallen prey to this message of this al-Qaeda extremist narrative," the CSIS's former assistant director, Ray Boisvert, told CBC's Peter Mansbridge. He said there is not a single type of person who is most likely to be radicalized, as extremists individualize the recruitment process. According to CSIS, some people living in Canada are graduates of training camps abroad and some are involved in planning attacks in other countries. Here is a list of Canadians suspected or convicted of Islamic extremist activities. In the summer of 2006, police arrested 14 Toronto-area men and four youths for allegedly planning two terrorist attacks in Canada. The so-called Toronto 18 wanted to bomb the Toronto Stock Exchange and other prominent buildings in the city. They also wanted to create an al-Qaeda-type cell in Toronto, arm themselves with weapons and frighten the Canadian public into withdrawing troops from Afghanistan. Seven of the adults eventually pleaded guilty to various charges, from associating with a terrorist group to planning violent attacks. Courts convicted four more from the group, including one of the youths, who was sentenced as an adult. Sentences ranged from 2½ years to life in prison. In February 2013, the Supreme Court of Canada ruled it would not hear the appeals of the sentences given to three of the men. Charges against the remaining seven members, including three youths, were either dropped or stayed. On July 18, 2012, a suicide bomber killed five Israelis, their bus driver and himself in Burgas, Bulgaria. The two people suspected of orchestrating the bombing are believed to be a part of the Lebanese Islamic militant group Hezbollah. One of the two suspects is believed to have used a Canadian passport to enter Bulgaria. Canadian officials have yet to comment on whether the suspect, whose name has not been released, has a Canadian passport. Who is the Canadian suspected in the Bulgeria bus blast? Canadian Immigration Minister Jason Kenney has said the suspect was born in Lebanon and moved to Vancouver, B.C., with his mother when he was about eight years old. He was awarded citizenship several years later. The suspect left Canada 10 years ago and has "not normally been a resident" here since, said Kenney. Mohammed Mansour Jabarah was 12 years old when his family emigrated from Kuwait to St. Catharines, Ont., where he attended Holy Cross Catholic secondary school. In the summers, he visited Kuwait to reconnect with family. Upon graduation, Jabarah was accepted to a Canadian university, but chose to pursue his studies in the Persian Gulf region instead. Al-Qaeda recruited Jabarah and his brother in Kuwait, then sent the pair to Pakistan for training, according to FBI interrogation reports. Jabarah received training as a sniper and in advanced explosives. He met Osama bin Laden four times. Following the Sept. 11 attacks, Jabarah entered Singapore and, along with a group of others, was planning attacks on Western embassies and a U.S. warship in the Singapore harbour. Three months after most of his co-conspirators were arrested, Jabarah was detained. He was brought back to Canada in April 2002 and questioned by Canadian authorities before being extradited to the U.S. for questioning. In 2008, he was sentenced to life in prison after apparently failing to abide by a co-operation deal he made with U.S. authorities. Based on the bargain, Jabarah was to provide U.S. authorities with information on top-ranking al-Qaeda officials in exchange for a comfortable detention in a safehouse under constant FBI supervision. Jabarah allegedly continued to plan al-Qaeda operations from the safehouse. The patriarch of the controversial Khadr family, Ahmed Said Khadr, moved to Canada from Egypt in 1977. He married Palestinian-Canadian Maha Elsamnah, with whom he had six children. Khadr, who died in a shootout near the Afghanistan border in 2003, is believed to have become a founding member of al-Qaeda in the 1980s. Omar Khadr, the couple's second-youngest son, was born in Toronto, Ont., in 1986, but lived with his family in Pakistan and Afghanistan. In 2002, the 15-year-old Omar was detained in Afghanistan, and then transported to Guantanamo Bay, Cuba, following a gun battle with U.S. forces in which he is alleged to have thrown a grenade that killed U.S. army sergeant Christopher Speer and injured two others. 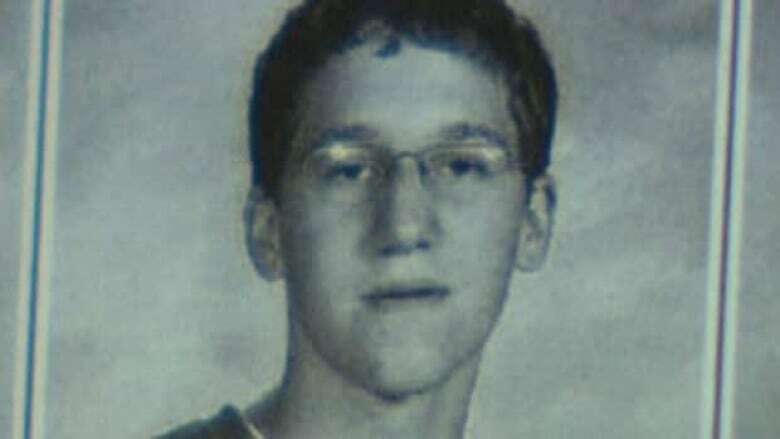 In 2010, Khadr pleaded guilty to killing Speer. Based on a plea agreement, Khadr was sentenced to eight years in prison. In Sept. 2012, he was repatriated to Canada. Other children in the Khadr family have been accused of ties with al-Qaeda, held in Guantanamo Bay and injured in battle with U.S. forces. A Canadian citizen born in Tunisia, Faker Ben Abdelazziz Boussora, 49, is believed to have "extensive connections to radical Islamic extremism," according to the U.S. Department of State. Boussora has allegedly declared he wishes to die in a suicide attack. In 2005, he was believed to be travelling with another Canadian with al-Qaeda ties, Abderraouf Jdey. Jdey, 47, was also born in Tunisia, but arrived in Canada in 1991 and lived for several years in Montreal. In 1995, Jdey became a Canadian citizen and received a passport four years later. A tape showing five alleged al-Qaeda members delivering martyrdom messages was found in the wreckage of a home believed to belong to Osama bin Laden's military chief. Jdey was identified as one of the men in the tape. He also left a suicide note outlining his intentions to die fighting against non-Muslim infidels. Amer El-Maati, 49, was born in Kuwait, but moved to Canada as a teen and attended a Toronto high school, followed by a Montreal university. Upon graduation, he went to Pakistan and Afghanistan and joined the fight there against Soviet forces occupying Afghanistan. In 2001, El-Maati's name was discovered on several documents in an al-Qaeda safehouse in Afghanistan. One of the documents was a letter stating El-Maati had been issued a Canadian passport in Pakistan in 1998. All three men are on the FBI's most wanted list for "questioning in connection with possible terrorist activity within the United States," according to the FBI's website. The FBI is also offering a $5 million US reward for any information that leads to the capture of Boussora or Jdey.